The cautionary reports seem to resurface every year just before Halloween: "Don't let your little ghouls and boys be tricked - with poisoned sweets that could kill them! Stay tuned for the full story on News at 11." I've heard the same warnings ever since I was a kid trying to breathe through a plastic Big Bird mask. 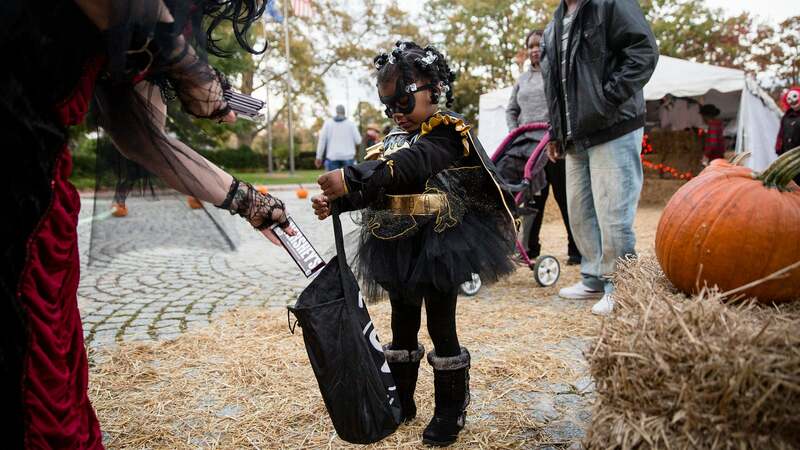 Most recently, New Jersey put a 2017 twist on the urban trick-or-treat legend by urging parents to watch out for people slipping their kids marijuana-laced goodies this Halloween. While it's a bit different than the old "razor blades hidden in a chocolate bar" bug-a-boo, it's a relevant prompt for an annual reminder: These things don't actually happen. Like, ever. According to Snopes, there have been zero confirmed cases of strangers poisoning kids with lollies on Halloween. Where then does the fear even come from? Over the years, as Snopes reports, there have been incidents initially reported as random Halloween lolly poisonings that ultimately turned out to be something else. The most famous case, the one that may have prompted your mum and dad to meticulously inspect your Halloween loot as you waited in anxious agony, was when a man named Ronald Clark O'Bryan killed his son with a cyanide-laced Pixie Stick in 1974, and then tried to convince police that the boy received it on the trick-or-treating trail. There have also been a very small number of foreign objects found in Halloween candy, though the vast majority of stories about things such as needles hidden in Twix bars have turned out to be false.